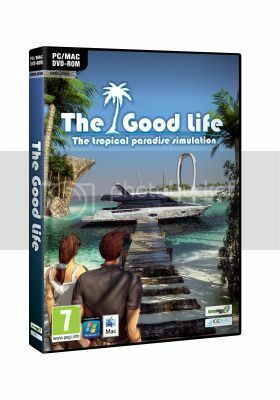 The Good Life is a free roaming simulation set in a visually stunning 3D tropical environment. Play an intriguing combination of game play styles; part ship simulation, part time management, part tycoon and 100% fun. A villa ashore, your own yacht, a stunning sunset, sandy beaches and see-through waters. Live the life you always dreamed of on your way to becoming the area’s top dog. Like so many, Derek Hales is fed up and is dreaming about ditching the nine-to-five lifestyle. When he learns that his late uncle made him the sole heir of “Carpe Diem Boats”, a boating company on the tropical complex of the Jo Jo islands, he doesn’t hesitate for a second. A new life awaits ! After a long voyage, he and his striking girlfriend Michelle Joyce finally arrive at their destination, enjoying the beautiful sunrise, with a Boating Company of their own. Compared to the dull office life, this new life looks much better. Finally but suddenly, life is good ! Experience vast, beautiful tropical locations, with more than 50 harbours and dozens of diverse places to explore. Use your earnings to build your commercial empire - buy and sell properties in this tropical paradise – progress from sun beds, beach houses and bungalows, to restaurants, villas and even hotels. Play against 9 other NPC ‘Skippers’ who compete for business against you – become the best skipper, earn more money and become the ultimate tycoon of the JoJo Islands! Well this is not the usual kind of game I play but I figured I would try this game anyways because you just never know . 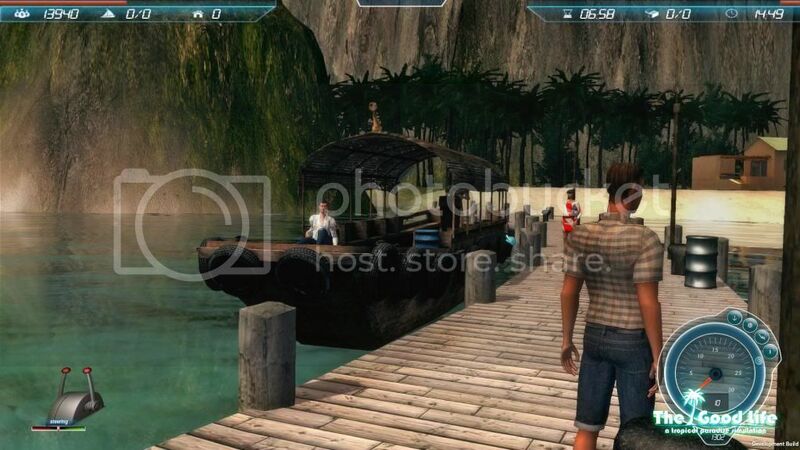 I played this game for an hour and I already got stuck in the game and I had issues controlling the boat. I am not a big fan of games that you use the keyboard to control and I think this game would have been better with a game controller instead of using the keyboard. The graphics are pretty good. The sound though is pretty good with realistic sounds. If you are into these kind of simulation games you might like it but for me it wasn't my cup of tea.